Vinyl Ester Epoxy UV-Cure laminating resin is an extremely tough, corrosion-resistant resin with great adhesion. 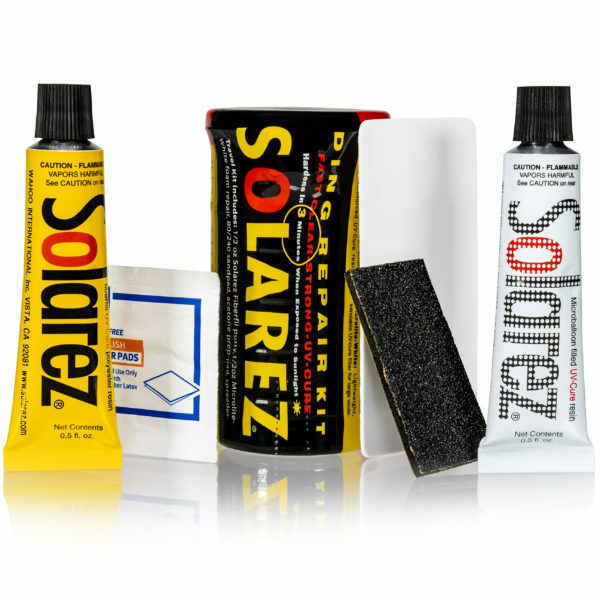 It is the base resin in our Solarez Extreme Putty. 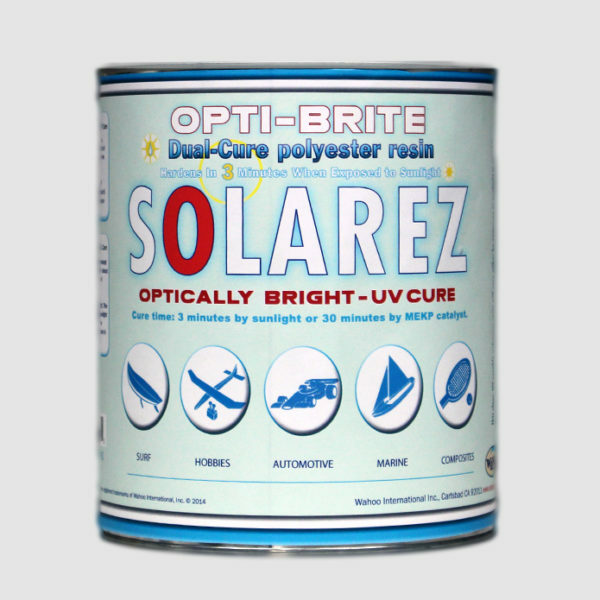 Cures by only UV-light but can be ordered to cure by MEKP catalyst too. This is a remarkably clear Vinyl Ester. 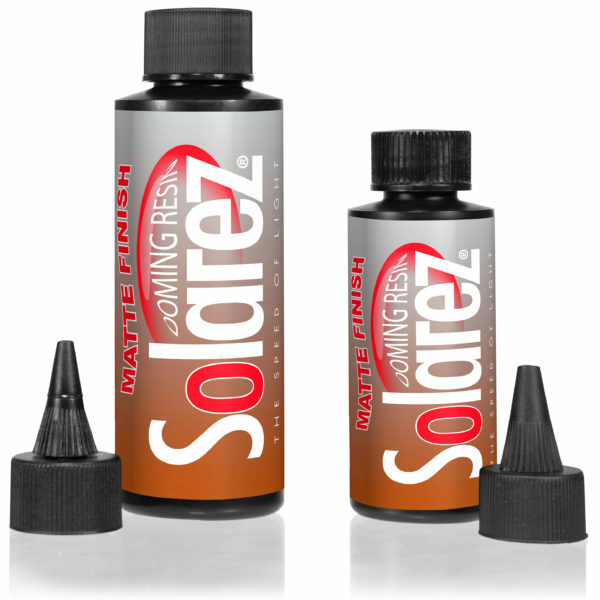 I build LED lighting and found this resin while looking for a faster way to encapsulate our led’s. I talked to Gary Fisher for more information, he was quite helpful. I wish his sells staff were more technical so they could answer my questions I had instead of pushing me off to just talk to Gary, that’s why I give the 4 stars out of 5 its not the product but the service. I will admit the shrinkage is a lot and it took us a number of times to finally lock down the resin on the edges and corners. As it cures on a flat aluminum surface it will de-laminate from the substrate, I thought it would bond well to the aluminum surface without major prepping like sandblasting or acid bath. 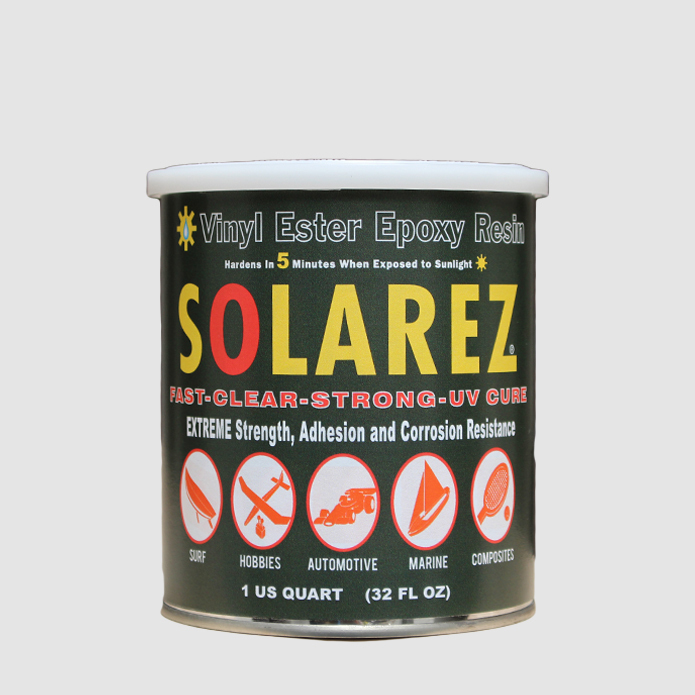 For our products I think the vinyl ester resin will work great. We are using the Full Ham workhourse Ballasts and 4 UV bulbs from Solacure.